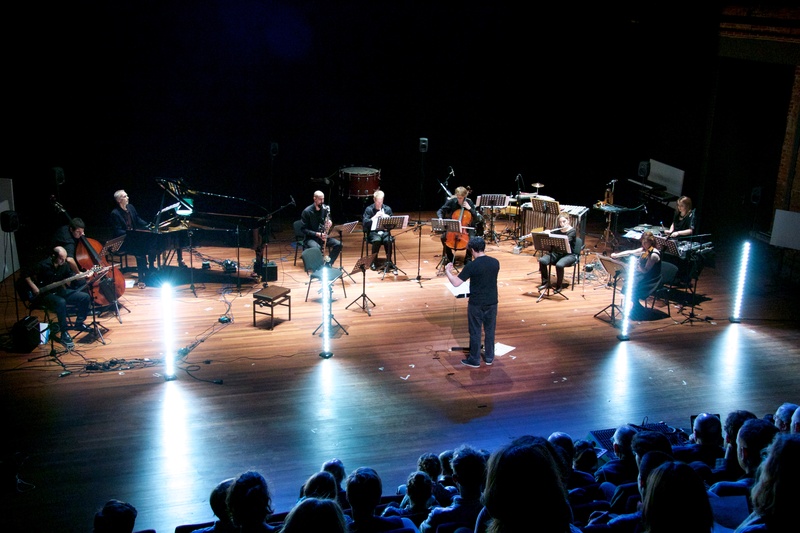 With it’s first return to The Netherlands in over 30 years, the International Computer Music Conference has invited Modelo62 to perform a number of works that expand the instrumental forces of the ensemble through electronic means. The ICMC has had a long tradition of presenting the leading voices and developments in computer music, and Modelo62 is thrilled to take part in this evolution. At the same time, we are also very happy to be able to present works by from our own Ways of Seeing project that we feel pushes the envelope of the listening experience, where our traditional multimodal means of listening/attending to a concert become hijacked. In Ways of Seeing sight, next to listening, plays a substantial role not only for the audience, but also for the musicians, who at one point even play blindfolded on a darkened stage. We hope to see you there!